Next week, Canada’s recreational cannabis market will open and this represents a significant opportunity for the companies that are levered to it. We have been closely monitoring this opportunity and have been targeting companies that have been under pressure and are levered to the recreational cannabis market. When it comes to these companies, we are focused on cannabis producers that have increasing production capacity and have strategic relationships that will help create value for shareholders. One company that meets this criteria is Invictus MD Strategies (GENE.V) (IVITF) and today, we have issued an update on the Canadian cannabis producer. Invictus is in the early innings of a major growth cycle and we are favorable on the growth prospects as the company is in the middle of a expansion and continues to execute on previously announced initiatives. Invictus is well capitalized and well positioned to execute going forward after announcing a $20 million bought deal at $2 a unit. Although this financing is significant and the funds will be used to expand via organic and inorganic growth opportunities, the market responded negatively and the shares are trading well below the pricing of this offering. We think that this pullback creates a great opportunity and are monitoring how the shares trade from here. Shortly before the bought deal was reported, Invictus announced that it has completed its first shipment of recreational cannabis to British Columbia on time, following its inaugural shipment to Alberta. The leverage to the recreational market and the early mover advantage is a major development and we are excited by the growth prospects as a result of it. This is a significant milestone and was the result of a balanced and deliberate approach towards cultivation and regulatory compliance. While Invictus focused on expansion of its cultivation facilities, Acreage Pharms secured excise stamps and Health Canada approved packaging for the adult recreational market, allowing for purchase orders to be completed on time and without issue. Invictus has been laser focused on execution and has significantly advanced its fundamental story. 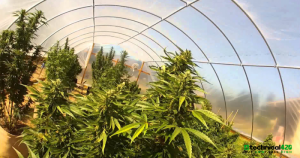 Invictus’ wholly-owned subsidiary Acreage Pharms has secured provincial agreements for the recreational market in British Columbia, Alberta and Saskatchewan, with others to follow-suit. The Canadian cannabis producer has also been laser focused on the retail side of the business and is working in collaboration with GTEC to expand the company’s retail presence. GTEC expects to open 15 Cannabis Cowboy stores in Alberta by October 17th, one location and an e-commerce platform in Saskatchewan, and additional retail stores in Ontario as regulations permit. The retail side of the recreational cannabis market is massive and we are favorable on the relationship with GTEC. The companies are well positioned to capitalize on this opportunity and we are monitoring how the teams execute on this. Demand for cannabis in Canada is expected to increase dramatically and Invictus is well positioned to benefit from this. The Canadian cannabis producer is in the middle of a major expansion and is scaling up its cultivation facilities to support local and international opportunities, with its Phase 3 and 4 expansion at Acreage Pharms constructed to support world-class EU-GMP standards. Constructing production facilities to EU-GMP standards is necessary if a company wants to export cannabis to Europe and this is an important part of the Invictus story. We are favorable on this growth initiative and the 90,000 square foot Phase 3 facility is expected to be complete in January. Immediately after Phase 3 is completed, Invictus will commence construction on Phase 4. Invictus has an attractive operating structure and we are favorable on the company’s five-pillar distribution channel strategy that includes medical, recreational, international, Licensed Producer to Licensed Producer, and retail stores. Invictus products will be sold under the omnichannel TerraWorld and feature four lifestyle-inspired cannabis brands for recreational users: Dukes, Zooey, Sterling & Hunt, and Sinister. In early June, Invictus provided an update on the construction of the Phase 2 expansion at its subsidiary AB Labs which remains on-schedule. The Phase 2 facility will add 40,000 square feet to the current operations and will increase total cultivation space to 56,000 square feet. The 16,000 square foot Phase 1 facility continues to operate at full capacity and successfully completed its second transfer of dried cannabis to Canopy Growth’s (WEED.TO) (CGC) CraftGrow line. The relationship with Canopy Growth is significant and creates great awareness for Invictus. We are bullish on this relationship and will monitor how the companies continue to create value for each other. When it comes to strategic partners, there is no one better than Canopy Growth. We are monitoring how this relationship transitions over the recreational cannabis market and are favorable on the growth potential heading into 2019. Invictus has been under pressure and has come well of its late September highs. Momentum has been trending lower and has been looking for a bottom. We are closely monitoring this metric and believe that Invictus is positioned to break out.